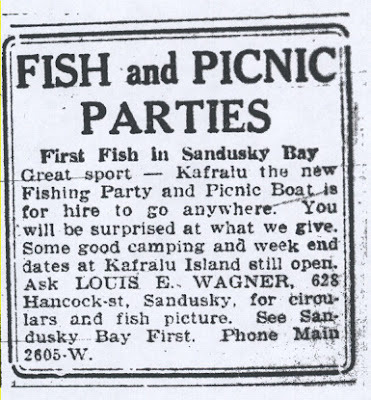 Betsy Ross Bread and the H & S Modern Baking Co.
Louis E. Wagner, a Sandusky harness maker, ran into a sand bar while he was boating in Sandusky Bay. 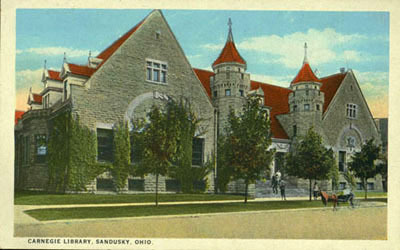 Beginning in 1911, Louis and his sons and friends began hauling logs and fill to build up the area around the sand bar. The Wagner family used small boats to accomplish the creation of the island, which took twenty five years to complete. Louis Wagner named the island Kafralu Island, using the letters “Ka” and “Fra” and “Lu” from the names or nicknames of his wife and two sons, named Katherine, Frank and Louis. 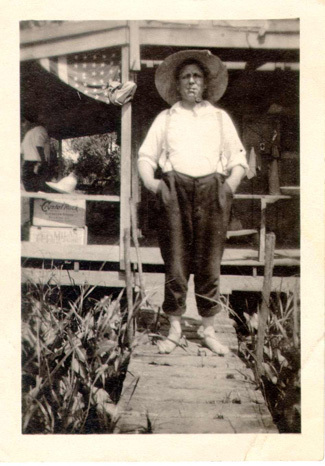 Mr. Wagner built a cottage that the family used for themselves, and eventually several other cottages were also built. Vacationers, hunters, and fishermen rented the cottages during the warm weather months. 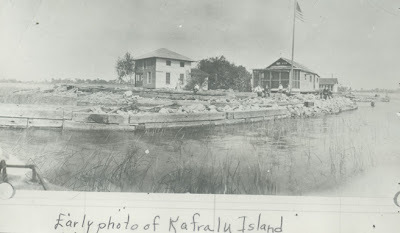 A gentleman known as Preasy Spoon can be seen in front of a cottage at Kafralu Island. A wooden box with the brand of Crystal Rock Beer can be seen on the porch of the cottage. 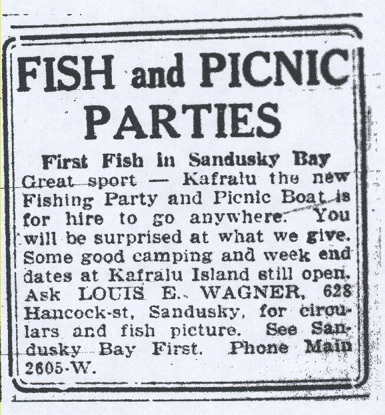 An article in the July 12, 1929 issue of the Sandusky Star Journal ran an ad for a Fishing Party and Picnic Boat, also named Kafralu. Mr. Wagner must have been very enterprising to rent not only the cottages, but also a fishing boat for use during one’s stay at Kafralu Island. 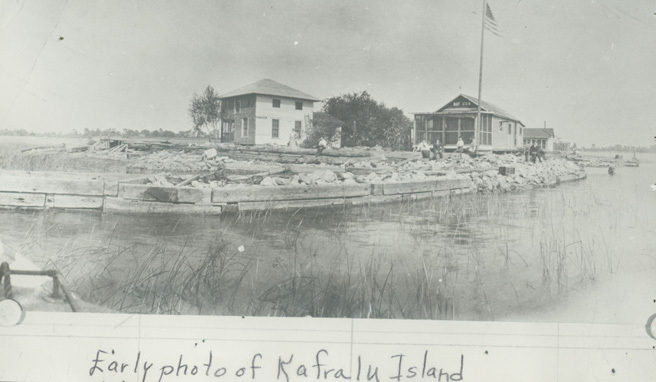 In 1938 a monkey got loose from a Cedar Point concessionaire, and escaped to Kafralu Island. Louis Wagner fed it bananas, grapes, and sugar plums, placing the fruit on top of the roof of a cottage so the monkey could then eat the treats. The monkey was finally caught, and was sent to Florida. In 1941 Louis E. Wagner passed away. It was difficult to rent the cottages during the war years, due to the rationing of gas for boats and cars. A fire destroyed several cottages in 1946, and eventually the property was sold to Cedar Point. 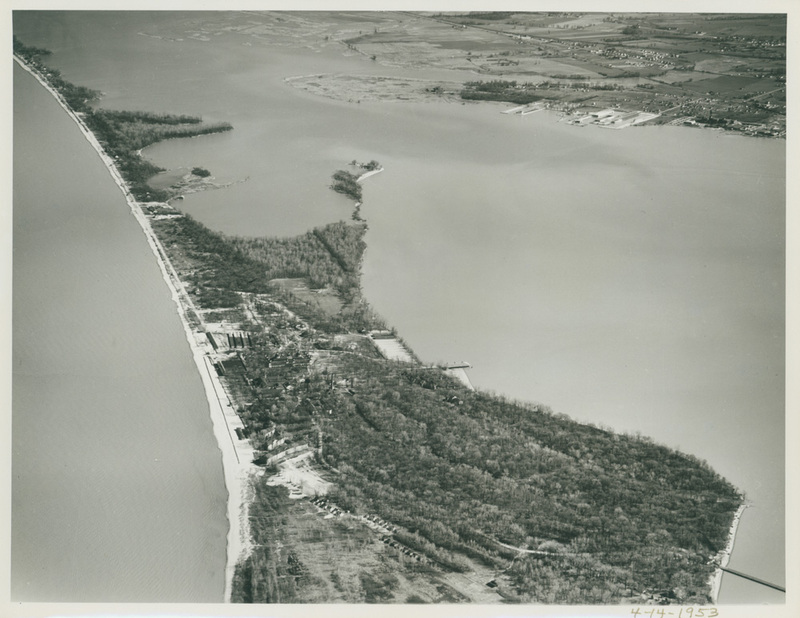 In the aerial view below, the piece of property formerly known as Kafralu Island can be seen toward the top of the picture, in a small piece of land just west of the Cedar Point Causeway bridge. I am sitting here reading your article with Louis E Wagner the third. He said that your website helped bring back many good memories. A sincere thank you for your great work!